Serious injuries can have a lasting impact on your life and the lives of your loved ones. When your injuries were caused by someone else’s negligence, you deserve zealous and caring legal representation from personal injury lawyers who are passionate about protecting you during this difficult time. At Ogle, Wyrick & Associates, P.C., in Sevierville, we have seen the tragic effects of negligence on innocent people in our community as well as on those who are visiting our area. Not only are injuries physically limiting, but they can also create serious financial obstacles that are difficult to overcome. We have dedicated much of our practice to seeking justice for victims of negligence and their families. We serve communities throughout East Tennessee, including Pigeon Forge and Gatlinburg as well as visitors and tourists in the area. Above all else, we are personal injury litigators. We are aggressive and unwavering advocates, prepared for anything that comes our way, including trial. By preparing for trial from the very beginning, we give you the best chance of receiving maximum compensation. Property owners have a duty to keep their facilities maintained and provide a safe environment. When property owners become negligent, and conditions become hazardous, slip-and-fall accidents occur. Manufacturers must identify foreseeable hazards when creating and building products. Hazards can be eliminated through design reconfiguration, warnings or through the use of additional safety precautions. If a product, whether it be a toy, vehicle, tool or medical device, causes an injury, manufacturers can be held responsible. The unexpected loss of a loved one caused by someone else’s negligence is more than many people can bear to imagine, but sadly many families in Tennessee are forced to face this tragic situation. We know that this is an incredibly difficult time for you and your family, but our wrongful death attorneys can help you seek the compensation you deserve while you focus on healing, if your loved one died because of negligence. Sevierville and the surrounding areas have long been a tourist destination. Between the Great Smoky Mountains National Park and Gatlinburg, people often vacation here or pass through on the way to their destination. Unfortunately, accidents can happen anywhere. Whether it’s in a vacation cabin or on a mountain road, if you’ve been injured due to someone else’s negligence, you should seek compensation. 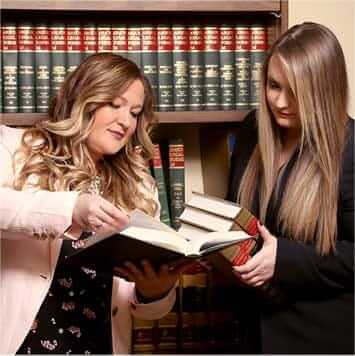 Our attorneys regularly work with individuals from out of town (and state) and help them pursue their personal injury claims. For any personal injury matter, your first consultation is free. If you are severely injured and cannot travel, we will come to you. Call us at 865-453-2866, or send us an email to schedule an appointment.